The first new big boss in over a year has arrived in Runescape. Solak, also known as The Guardian of the Lost Grove, is now available to subscribers to take on, alone or in groups. 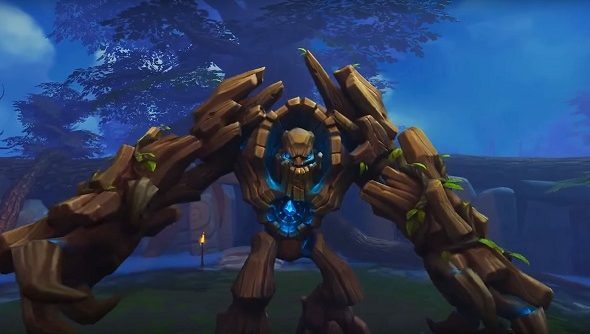 Solak is an animated tree being – somewhere between an ent and a massive spriggan – and he’s guarding the “massive power” that’s hidden in the grove. Solak may wind up sounding a bit familiar, too – he’s voice acted by Doug Cockle, who also portrayed a certain monster-hunting mutant from Rivia.